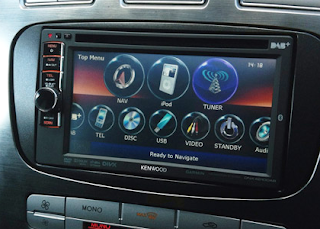 DAB digital radio could be used to take over other people's cars, according to NCC Group, who found out a way in which they could hijack cars using data signals sent via DAB to car infotainment systems. According to a demonstration using a laptop and DAB transmitter by NCC's Andy Davis, broadcast on Wednesday's edition of BBC Radio 4's PM programme, an attacker could send code embedded within the DAB signal and take control of brakes and steering. The BBC News website has a full report. Or listen to the report at the foot of this page. RTÉ Radio 1 is set to become available on DAB digital radio from early September for listeners in Manchester. RTÉ is named as being part of Niocast Digital's small-scale DAB digital radio trial service, one of 10 such trials taking place across the UK, which will try out a low-cost way of distributing radio stations on DAB over a smaller area than traditional local DAB multiplexes. RTÉ Radio 1 is one of several stations that has been added to Niocast's line-up, since Ofcom confirmed the trial locations and stations on 12 June. Other stations added to the Niocast line-up since the Ofcom announcement are London Greek Radio, Max (80s radio) and Unity Radio. More information about the proposed small scale DAB stations and locations can be found here. Bauer Media, owners of Radio City wants to swap City Talk and Radio City 2's analogue radio frequencies, which would see City Talk switch to AM (moving to 1548 kHz) and Radio City 2 to FM (moving to 105.9 MHz). Ofcom revealed the details earlier this week because it has to conduct a public consultation on the proposed changes to the formats of each station, which form part of the change plans. Ofcom says that Bauer Media wants to change Radio City 2's format from “a classic soft pop music-led service” to “rock hits with news, local sport and information programming.” Radio City 2 is currently the former Magic AM service for Liverpool, and currently shares programming with other local stations across northern England and Scotland. City Talk’s published format requires the service to broadcast “speech and soft pop-led music programming”. Ofcom says the format would become “a classic soft pop music-led service”. The service would become known as "Radio City Talk". Interested parties have until 12 noon on the 5th September to comment on the proposals, which are found on Ofcom's website. Importantly, DAB listeners would not need to retune to continue to listening to either station, should the changes be approved. The Bournemouth local DAB multiplex has gone live from the Bincombe Hill transmitter, enhancing local DAB reception in and around Weymouth and Dorchester. It marks a westwards expansion of the multiplex, as part of a wider roll-out of local DAB multiplexes to more areas, as outlined earlier this year. A full list of the transmitters being added to the network are listed here. Have you noticed any changes in your local DAB reception? Let us know - comments welcome below. Why have RTE bothered to negotiate space with a small scale mux instead of opening talks with Sound Digital for their national DAB + service submitted as part of their plans? Ok there are a lot of Irish expats in and around Manchester, whether they will be able to pick this mux up is a different matter but I'm pretty sure there are more Irish expats in London than Greeks so shouldn't that have been their first target? It's becoming evident that RTE have no plans to broadcast away from LW in the UK but they are willing to waste plenty of that money they say they want to save! Is all of Greater Manchester involved in the trial? Core coverage is the area within the M60.